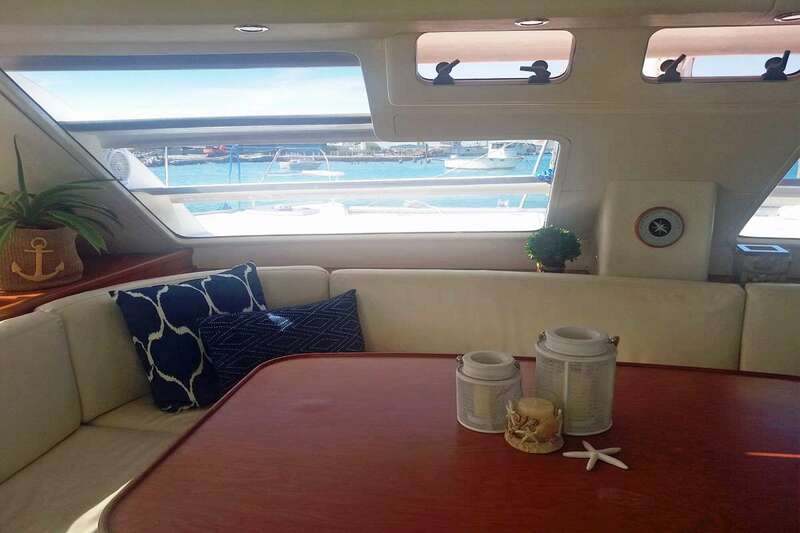 Sea Senor is a luxury Leopard 46 sailing catamaran available for day charters and term charters in the beautiful islands of the Bahamas. 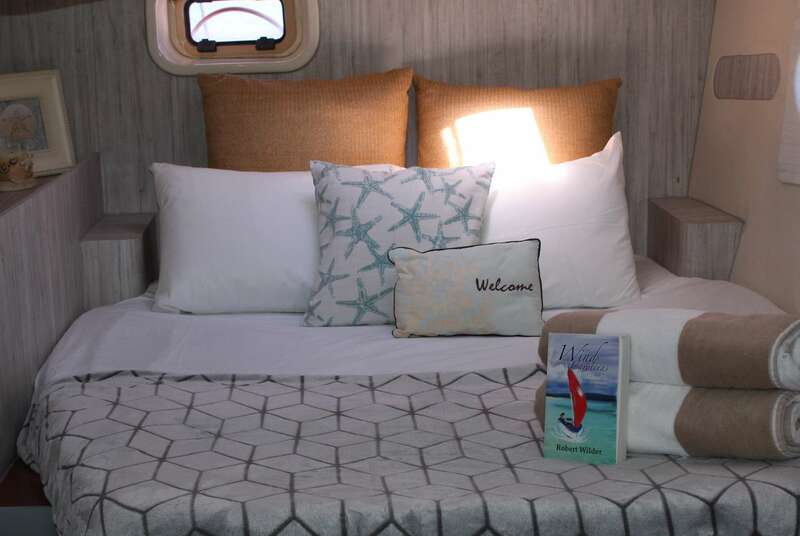 Whether on a family charter, a romantic getaway, or celebrating an event, Sea Senor is a perfect option, offering the ultimate in style, comfort, stability and safety. Opt to spend your days relaxing on a serene beach and being pampered by the dedicated crew, or take advantage of the excitement and adventure to be found in the Bahamas. The main salon is bright and cheerful, flooded with natural light from the surround of panoramic windows. Guests can enjoy cocktails and conversation in this convivial area, play a game of cards, or take a few pointers from the chef busily at work in the galley. The fully equipped kitchen insures delightful meals prepared to the highest standards. 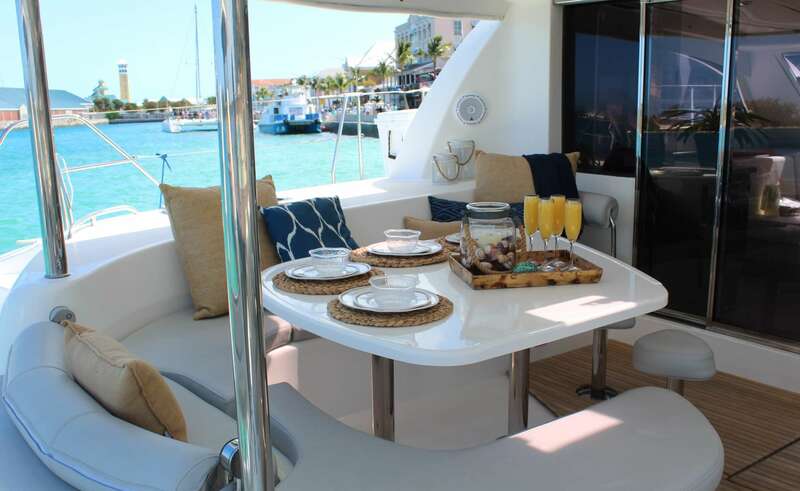 Sea Senor is also an excellent option for event charters with plenty of room throughout the boat for entertaining. 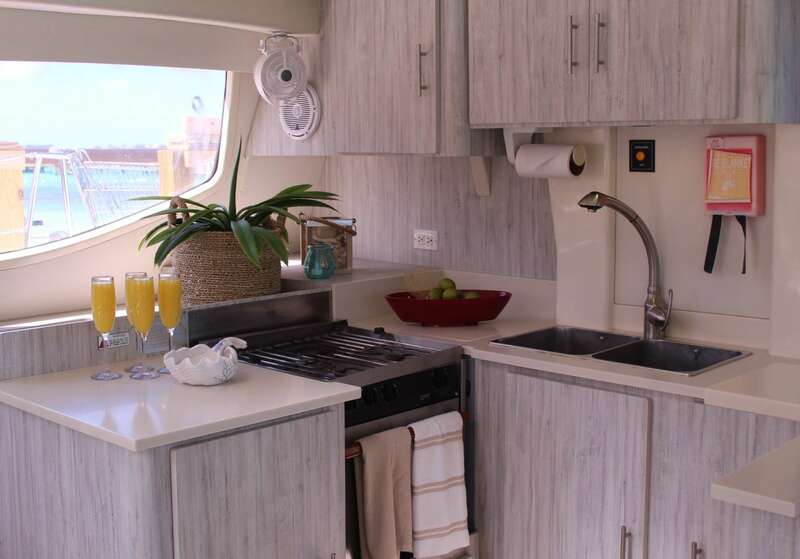 Sailing catamaran, Sea Senor offers superb comfort to charter guests. The huge protected outdoor area allows outdoor living in either sun or shade. 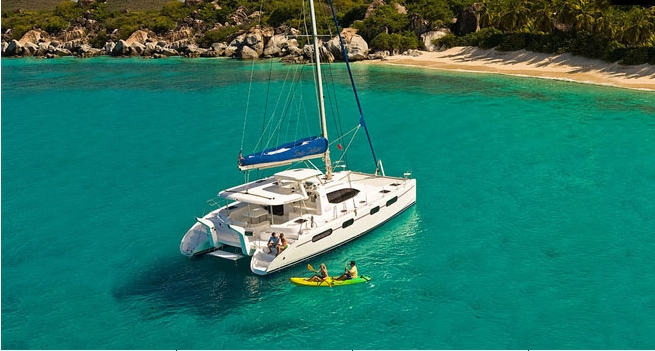 Sea Senor has the superior stability that makes catamaran charter so popular, especially for first-time sailors. The shallow draft allows Sea Senor to access many coves and beaches that cannot be reached by other yachts. 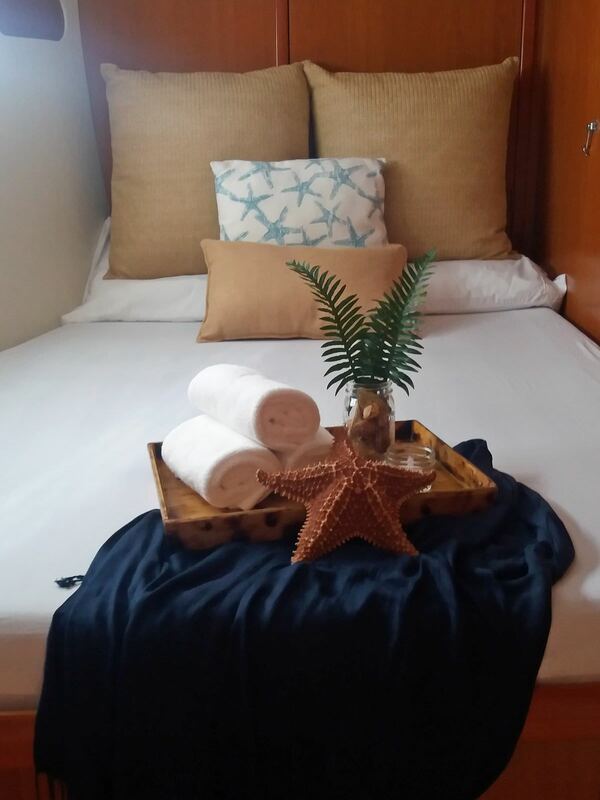 Best of all, while Sea Senor offers all the features and fun of sailing, the engines can also be relied on for island hopping, shore excursions and to get you anywhere you wish to be. Sea Senor offers magnificent sailing through the turquoise waters of the Bahamas. Each island throughout the Bahamas has its own distinct personality. The islands are scattered over 100,000 sq. miles of ocean. With so many islands, cays, reefs and islets, the region offers limitless exploration and excitement. Family charter clients highly recommend Sea Senor and her crew who work wonderfully with youngsters. 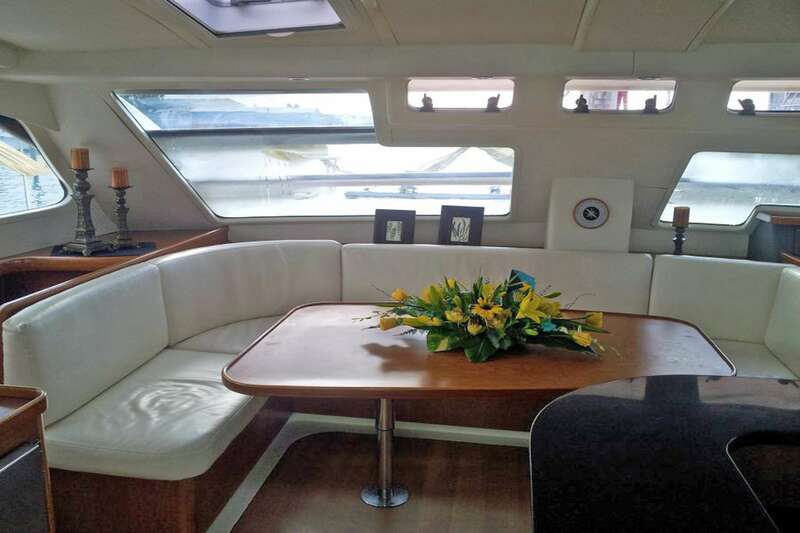 For romantic charters, the crew knows how to be both very attentive and very discreet. 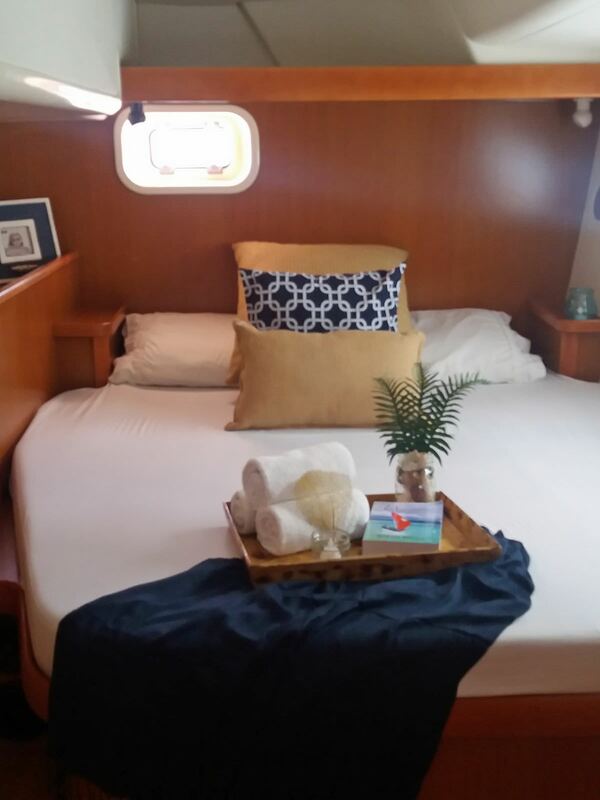 Double berth accommodations are perfect for charter couples offering nearly equal quarters. Whatever you requirements, Sea Senor is poised to exceed your expectations. 3 Double Cabins for 6 pax, one cabin with access to additional bed forward for child. If parents want a young child to sleep in this additional bed, the door can stay open and goes flat against the wall, so makes one large space. This port forward cabin can also be accessed from the deck hatch, with steps, or through the forward double cabin.